For Chaos's 4th birthday, instead of a big party, we invited his two closest friends over for a "Superhero Playdate." One of the activities I had planned was to decorate their own superhero capes. These were super easy and inexpensive to make and the boys (and my girls too!) loved them. I thought I would share how I made them. The first thing I needed was felt. I found that the felt by the yard at both Joanns and Hobby Lobby were too expensive for what I had in mind. As luck would have it, I stumbled upon these prepackaged felt yards at Michaels. The brand is Creatology and each package contains one 36in x 36in square of felt. They had about a half dozen color options at my local store. The regular price was $3.99, but I went back with my 40% coupon several times during the week to get them for less. I was able to make 2 capes from each package. The first thing I did was fold the felt in half, then in half again. By doing this, I was able to cut out both capes at once. I drew a basic half-cape shape freehand. 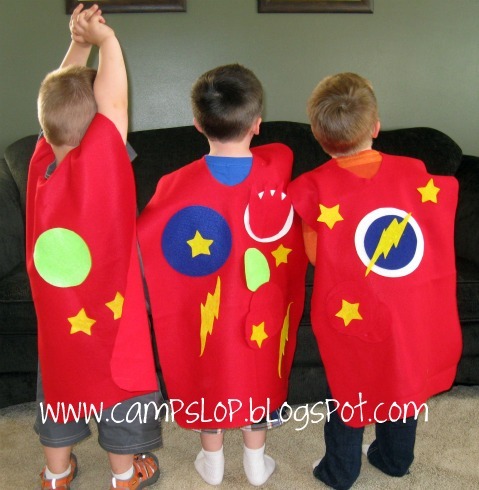 My cape is roughly 32 inches long which was a good size for both the 4 year olds at the playdate and Pinky (who is the tallest of the bunch at 49 inches). 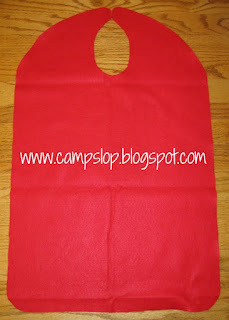 I needed a way to keep the capes attached and really didn't want to sew on velcro. 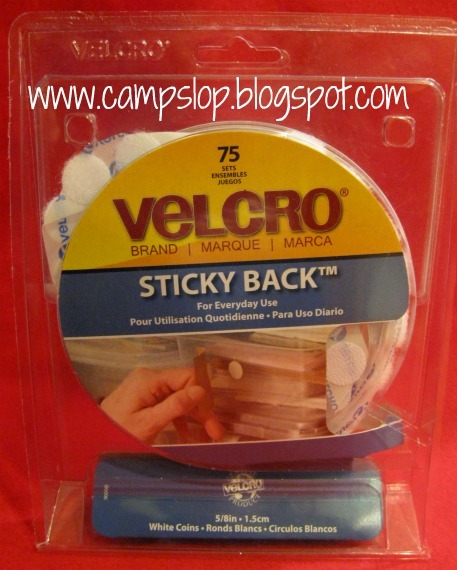 I had some sticky back velcro dots and thought I would give them a try. I was pleasantly surprised to find that they worked! I gave them a few tugs to make sure they wouldn't fall off, and while I don't expect them to last forever, they were perfect for the playdate. If you plan to use the cape for awhile I would definitely suggest adding a few stitches to secure your velcro. 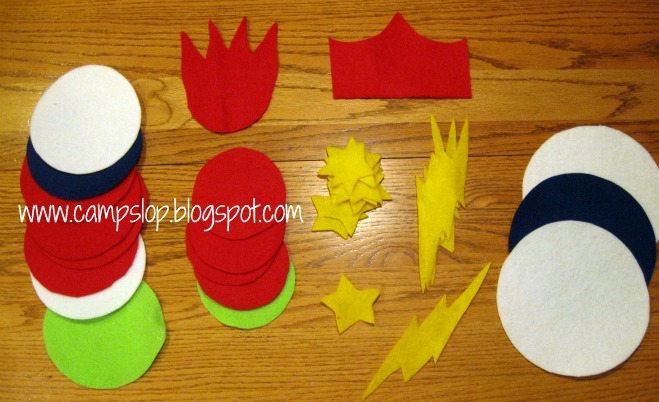 To decorate the capes I cut out shapes from various colors of felt. I loved the adhesive backed felt, but could not find it in all the colors I wanted so I had to use regular felt as well. 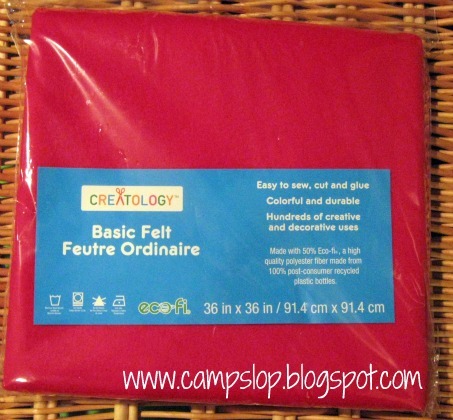 The craft felt was less expensive at 20 cents a sheet compared to 99 cents for the adhesive backed. 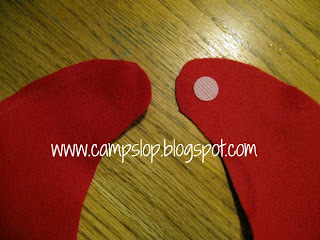 However the adhesive felt was easier for the kids to use (we used tacky glue for the shapes cut from regular craft felt). My superhero shapes were pretty random - various sizes of circles, stars, lightning bolts, flames and a crown. On the day of the party I set out the capes, decorations and some tacky glue. The boys had a great time creating their own superhero identities. 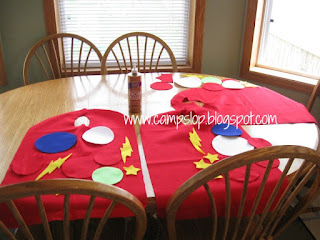 While the glue and adhesive felt worked fine for the playdate (and are still holding up almost 2 weeks later) you will definitely want to either sew these on or use an iron on adhesive if you want the cape to last longer. Once their capes were done these superheroes were ready to save the world! Be sure to check back next week when I share more details from our Superhero Playdate! What a wonderful idea! This would be awesome for a kid's birthday party too! Thanks for the idea and for linking up to the Weekly Kids Co-op! I LOVE THIS!! What a great idea!! I have a client who LOVES all things super heros and I have been thinking about incorporating making a cape...I think I will now, you have inspired me! (And I'll make them with my kids too). 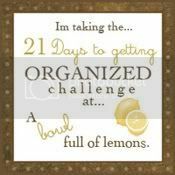 I'm featuring this at Thrifty Thursday this week too!! I liked this so much that I'm going to be featuring it tomorrow on the Weekly Kids Co-op! Come by and see it www.dirtandboogers.blogspot.com. WOW, such an awesome idea, Nathan loves wearing capes!! I'm going to share this on my facebook page! Thanks for sharing this on Hey Mom, Look What I Did at Adventures In Mommy Land...hope to see you again sometime. Love. Love. Love. I am featuring this on my Weekly Kid's Co-op. They look great! My superheroes would LOVE these. Found your blog post through Pinterest. You saved the day for my son's super hero party tomorrow. 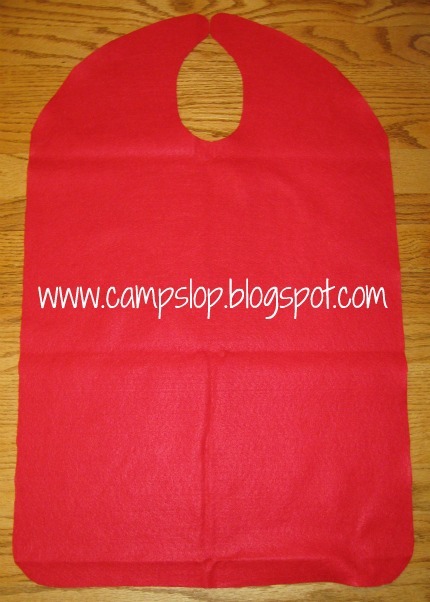 We'll be making six capes, which thanks to you, will be adorable and simple. Thanks!